According to Hurst & Good (2009), attracting and retaining the employees is looked like the most important work of the human resources management of the company. The employees are the biggest asset of the organization behaviour with the help of which an organization effectively works. 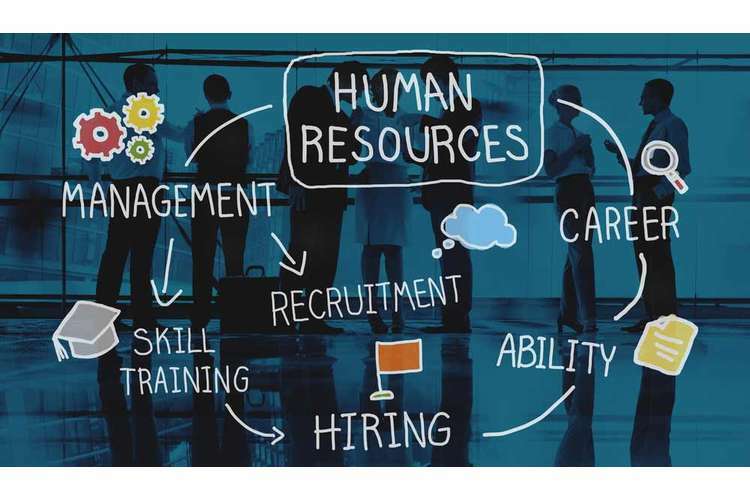 The human resource management is the department of the organization that specifically deals in attracting and retaining the employees in an organization. As there is lack of expertise in the industry due to which retention has become one of the major concern of companies present in this industry. However, no employee wants to stay in this industry due to pressure, workload and tension. However, this industry regularly attains the concentration of the customers in the market because of the type of products that they provide. And in order to meet the needs of customers, the company regularly requires human resource as well (Stone, & Deadrick, 2015). There are ample number of challenges present in the retail industry that affect the attraction and retention of employees in the market. Lack of development and career opportunities can be seen as one of the most important reason due to which companies fail to initiate human resource management activities. The companies present in this industry face difficulty in attracting and retaining staff because they are uncompetitive in the target market. Repetition of work makes the people bored that results in dissatisfaction from the jobs of people. The management of a retail company provides same type of work to the employees on daily basis that makes the employee feel that their talent is not used properly. Resulting in which they leave the job to find a job that adequately acknowledges their talent. So, it can be said that boredom in of the jobs can be seen as one of the most important factor that challenges the detainment and attraction of employees in this industry (Festing, & Schäfer, 2014). 1. High Hygiene + High Motivation: employees are highly motivated and have less complaints. 4. Low Hygiene + Low Motivation: worst situation in which there is lack of motivation as well as more of complaints. The process of standardized work in a retail industry lead to the aspect of high hygiene and low motivation as the employees look at their jobs only as a pay check. Sooner or later, due to this type of dissatisfaction, the employees leave their jobs (Hannington, 2016). The organizations present in retail industry should also look after the proper job description and person description as well. It is very important for the company to recruit the right type of person for the right type of job. If the human resource management of the company does not make this match then ultimately the employee will leave the organization. If the organization hires an underprepared employee for performing high level job then he will leave the company due to out of expertise work and the company hires a quality person for lower level job then also he will leave the company out frustration. Understanding the type of employees along with job specification will successfully help the company to attract as well as retain the employees in the organization (Howard, Turban, & Hurley, 2016). Contract staffing can also be assumed as one of the challenge in the process of attracting and retaining the employees in the organization. Many times due to emergent need or various other reasons, the company hires the employees on contract basis. In contract basis staffing, the company employees people on contract by the way of third party. The entrance of third party makes it difficult to create a bond with the human resource management of the company. Resulting in which, the employees leave the job after their period expires. Under this case, it can also be seen that the ineffectiveness of the human resource management of the company to create bond affects the overall employee turnover rate of the company (Ravichandran, Cichy, Powers, & Kirby, 2015). Reward and compensation can be seen as the biggest driver for change in an organization. Employees of a company are directly motivated if they receive rewards and good pay from the organization. On the other hand, deductions in salaries negative affect the employees in a company. Considering in a retail industry, the company pays very less to the salesman and the storekeepers due to which they leave the job. Initially, it can be clearly seen that this type of work not fascinating to the people at all, infact people only work in supermarkets just because they want to earn money. Secondly, it should also be noted that the companies present in retail industry does not pay good to the employees as well. This results in dissatisfaction among employees (Oladapo, 2014). The employees in an organization stays for two reasons, either they love the job or they love the money that they are getting from the job. So, it is important for the companies to compensate the employees according to the work that they do so as to effectively retain them and attract new people as well. Compensation is the best motivator as well, so if an employee receives optimum amount of pay in the environment and it increases with time as well, then he will never leave the job. Other monetary and non-monetary incentives also play a lead role in motivating the employees to stay in the organization. In the retail industry, the companies do not pay adequately to employees considering the work, instead the employees in this industry are underpaid. As there is regular demand of goods and services in retail sector, due to which the employees need to work overtime as well (Oh, Weitz, & Lim, 2016). Considering the work done by employees the companies should compensate them with additional benefits but sadly then don’t receive any. Resulting in which, motivation leads to dissatisfaction and they ultimately leave the job. Relating it to the theory of equity, it should be noted that the theory states that equity is measured by comparing the ratio of contribution (cost), and benefits (rewards) for each person present in organization. It is important for the human resource management of the company to maintain relation between the inputs that employees bring to the job and the outputs delivered by the company. If there is fair and justified treatment according to this theory then the employees will feel motivated otherwise they will lose interest in the job. Some of the inputs are, time, efforts, trust, education, commitment, hard work etc. while some of the outputs are, job security, salary, recognition, employee benefits etc. (Haider, et. al., 2015). Training is also one of those factors that change the interest of the employees to stay in an organization. Training is considered as a positive aspect that helps the new employees to understand with the process of the company and it helps the existing employees to learn more about the changes happening in the company. As a going concern organization regularly requires to change their business process time to time, in the same way, the employees need to change their actions time to time according to the direction of the company (Yadav, & Saxena, 2015). So, in such cases, if the company will not provide adequate training to the employees then they will become rigid and will not work effectively for the purpose of growth of the company. Also, if the company will not train the new employees effectively, then they will leave the job in beginning only (George, 2015). Every job is difficult at the initial level, the HR manager needs to involve the employees in the company and train them with the activities of the business as well. So, if the employees will not receive training then they will ultimately fail to work according to the expectations of the company and will leave the job. The aspects of attraction and retention goes hand in hand in a business, it is not possible for the company to focus only on one aspect (Broadbridge, Maxwell, & Ogden, 2007). As examined over that there is nonappearance of training and strategic development process in the association, because of which changes in the administrative procedure adversely influence the development of the organization in the outer market. It is critical for the associations to execute compelling change mnagement program in order to assist the workers with understanding the exercises activities of the organization. Likewise, it ought to be noticed that recognition is the key factor that assumes a noteworthy attracting in and retaining the workers in the company (Albrech, 2011). In the retail area, associations for the most part make utilization of team based organizational structure because of which aggregate group is valued or reprimanded by the association. However, the commitment of the worker exclusively is never perceived in the association coming about to which underperformance and over execution of the group influences them however the work done by them is never checked in the association. This is additionally one of the real cause because of which representatives leave their employments in the retail business. These workers enter in different parts where they get rewards from the association based on their own execution and not the accomplishments of the gathering (Michie, & Sheehan, 2005). It ought to be noticed that rivalry in the business along with influencing the incomes of organizations in the environment influences the human resource management of the associations too. The organization giving better advantages attracts the workers to the greatest level. Additionally, the associations confront trouble in attracting the representatives with the impact of globalization. As now, the organizations don't rival each other in the local condition yet they contend with different associations or same and distinctive industry(Hurst, & Good, 2009). The workers have begun moving to different parts of the world because of which not many representatives are left with the residential business. In this way, it ought to be noticed that with the impact of globalization, the quality workers are skimmed on the worldwide level (Sissons, & Green, 2017). Further, it ought to be noticed that millennial individuals present in the environment don't lean toward entering the retail area and this industry additionally neglects to attract the youthful ability present in the market. The representatives present in this environment are continually requested to play out a similar activities over and over because of which they lose their adequacy and effectiveness and the millennial representatives need to regularly work on new tasks and imaginative activities on standard premise. The retail business can't give such administration work in the environment because of which they fail in drawing in the attraction of individuals in the organization (Roman, & Mason, 2015). So, in this manner, it ought to be noticed that the previously mentioned statements clarified the difficulties looked by associations in attracting in and retaining the workers in the retail business. Great work environment condition is one of the way to attract the representatives in the association and hold them too. No representative could ever need to work in an association where there is the proximity of negative work environment condition. In this way, if the association starts successful communication with the representatives then they will naturally remain for a more period of time in the association (Sparks, 1992). Further, perks, bonuses and incentives additionally assume a noteworthy job in holding and pulling in the workers in the target market. The organization present in retail segment should start incentive process above the basic pay of the employees in order to inspire them to work better and procure better too. Incentives and pay are the greatest inspiring variable; any worker that switches the activity is principally because of less remuneration benefits. Further, advancement is another ways should be implemented through which the association can attract and retain the workers in the activities of the association (Rathi, & Lee, 2015). As talked about over that boredom is likewise one factor because of which workers switch their employments. Along these stanzas, if the companies influence utilization of new and innovative practices in their day to day schedule activities then retail industry too can attract and retain the quality millennial workers easily and make them stay in the organization for a longer period of time as well. So, in the end, the companies should also actualize training and development practices to enable the representatives to change their mind in accordance with the company. This aspect will likewise add a helping hand for representatives to utilize innovative practices and reduce the level of difficulties as well. With the assistance of viable training, the representatives will become acquainted with about the company and the work that they need to do. Resulting to which, they won't confront trouble in completing the given tasks. Thus, in the limelight of above mentioned events, the fact should be noted that the employees in an organization are the most important asset for the company. Considering in the retail industry, the companies present in this industry face more difficulty in attracting and retaining the employees because of the kind of work their offer in the market. Lack of recognition and repetition in work leads to boredom that affect the satisfaction level of employees and their leave the job. Hiring of qualified employees and retaining them by providing perks should be one of the things that the company should do in order to satisfy them. 1. Albrech, S. L. (2011). Handbook of employee engagement: Perspectives, issues, research and practice. Human Resource Management International Digest, 19(7). 2. Broadbridge, A. M., Maxwell, G. A., & Ogden, S. M. (2007). 13_2_30: experiences, perceptions and expectations of retail employment for Generation Y. Career Development International, 12(6), 523-544. 3. Festing, M., & Schäfer, L. (2014). Generational challenges to talent management: A framework for talent retention based on the psychological-contract perspective. Journal of World Business, 49(2), 262-271. 4. George, W.R., 2015. Internal marketing for retailers: The junior executive employee. In Proceedings of the 1984 Academy of Marketing Science (AMS) Annual Conference (pp. 322-325). Springer, Cham. 5. Haider, M., Rasli, A., Akhtar, C. S., Yusoff, R. B. M., Malik, O. M., Aamir, A., ... & Tariq, F. (2015). The impact of human resource practices on employee retention in the telecom sector. International Journal of Economics and Financial Issues, 5(1S), 63-69. 6. Hannington, T. (2016). How to measure and manage your corporate reputation. UK: Routledge. 7. Howard, L. W., Turban, D. B., & Hurley, S. K. (2016). Cooperating teams and competing reward strategies: Incentives for team performance and firm productivity. Journal of Behavioral and Applied Management, 3(3), 1054. 8. Hurst, J. L., & Good, L. K. (2009). Generation Y and career choice: The impact of retail career perceptions, expectations and entitlement perceptions. Career Development International, 14(6), 570-593. 9. Imna, M., & Hassan, Z. (2015). Influence of Human Resource Management practices on Employee Retention in Maldives Retail Industry. International Journal of Accounting, Business and Management. Research Paper, 3(1), 28. 10. Michie, J., & Sheehan, M. (2005). Business strategy, human resources, labour market flexibility and competitive advantage. The International Journal of Human Resource Management, 16(3), 445-464. 11. Oh, H., Weitz, B., & Lim, J. (2016). Retail career attractiveness to college students: Connecting individual characteristics to the trade-off of job attributes. Journal of Retailing and Consumer Services, 31, 345-354. 12. Oladapo, V. (2014). The impact of talent management on retention. Journal of business studies quarterly, 5(3), 19. 13. Rathi, N., & Lee, K. (2015). Retaining talent by enhancing organizational prestige: An HRM strategy for employees working in the retail sector. Personnel Review, 44(4), 454-469. 14. Ravichandran, S., Cichy, K. E., Powers, M., & Kirby, K. (2015). Exploring the training needs of older workers in the foodservice industry. International Journal of Hospitality Management, 44, 157-164. 15. Roman, L. J., & Mason, R. B. (2015). Employment equity in the South African retail sector: Legal versus competence and business imperatives. South African Journal of Labour Relations, 39(2), 84-104. 16. Sissons, P., & Green, A. E. (2017). More than a match? Assessing the HRM challenge of engaging employers to support retention and progression. Human Resource Management Journal, 27(4), 565-580. 18. Stone, D. L., & Deadrick, D. L. (2015). Challenges and opportunities affecting the future of human resource management. Human Resource Management Review, 25(2), 139-145. 19. Terera, S. R., & Ngirande, H. (2014). The impact of rewards on job satisfaction and employee retention. Mediterranean Journal of Social Sciences, 5(1), 481.